Since 1987, we work in co-operation with Jaime Grimalt. 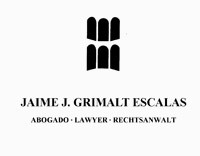 The lawyer Jaime Grimalt, registered member no. 1144 at the Illustrious College of Lawyers of the Balearics, has 25 years of experience in real estate law. His practice can provide full advice in order to buy or sell any kind of property, either personally or through the constitution of a company, together with the preparation of last wills and yearly wealth tax declaration every resident or non resident owners should execute. He can be contacted through ourselves were you to have queries regarding purchasing and selling properties in Spain. If you have questions about buying and selling property in Spain , please send us your questions and our lawyer will respond as soon as possible.